This Earthenware bowl was molded from a real acorn squash. 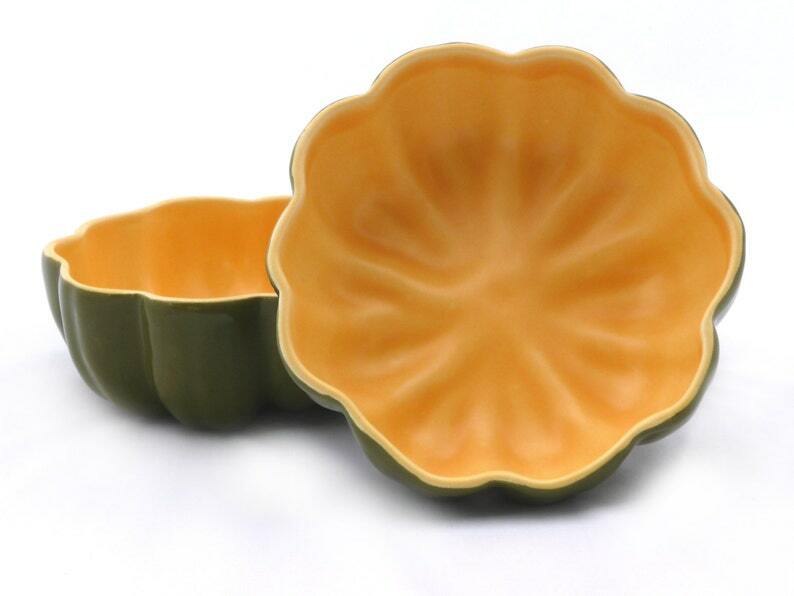 It has a beautiful satin orange-yellow glaze inside with a shiny dark green glaze on the outside. Our bowls are completely handmade, they are all unique and the sizes, shapes, and textures can vary. They can also vary because they are cast from actual fruits and veggies, which all vary because they are organic. Every bowl is handmade to order. This process can take up to 2 weeks to create and ship, depending on what is in stock. Please convo me for rush orders. Thanks!